Irwin Barkan has over thirty years of experience as a business owner in commercial real estate and retail, and has been an active investor in public and private companies; IJ Barkan, Inc. was founded in 1984. Mr. Barkan has developed and invested in major supermarket-anchored shopping centers, office parks and residential projects in the US, Canada and now Africa. He has served an international roster of clients, tenants, financial institutions and partners with a full spectrum of real estate investment services, including ground-up development, construction management, property management, leasing, and asset management. Mr. Barkan was appointed by Massachusetts Governor William Weld as the Governor’s representative on the Treasury Investment Advisory Council in 1990. 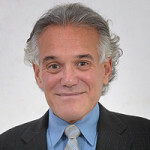 From 1986 to 2006 Mr. Barkan was a member of the American Society of Real estate Counselors’ Boston and New York branches. In 2011 Mr. Barkan, Mrs. Barkan and their long-time colleague, Morley Gordon co-founded BG International, LLC in New York City and opened a permanent office in Accra, Ghana. In 2013 BGI funded the first Safe Water Network in the Ashanti region in partnership with His Majesty Asantehene, the Ashanti King. Water in this project began flowing to 12 rural villagers in December 2013. BGI is undertaking new efforts in 2014 to bring safe fresh water to Ghana’s Northern Region. Mr. Barkan has been a member of the International Council of Shopping Centers (ICSC) since 1983 and was recently invited to be a founding member of ICSC’s Africa Advisory Board. Mr Barkan is also a member of the Middle East and North Africa Council (MENA) and the South Africa Council of Shopping Centers (SASC). He recently addressed the Africa Hotel Investors Forum in Nairobi, Kenya on mixed use projects in Africa, delivered the Africa roundup discussion at the MENA conference in Dubai and made numerous addresses and appearances in the US and Ghana media. Irwin and Lindsay Barkan reside in Vermont, USA and Accra, Ghana; they have three adult sons.